This series celebrates the accomplishments of master filmmaker Hirokazu Kore-eda and also the prolific actress Kirin Kiki who sadly passed away in September. We will be screening three films by Kore-eda – two of which includes Kirin Kiki in the cast. 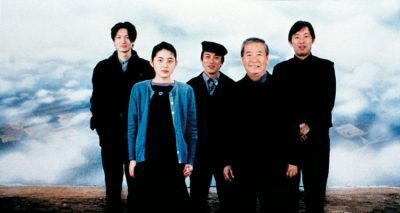 Kiki was a frequent collaborator in his films, including Shoplifters, her last film, which won Kore-eda the prestigious Palme D’Or at Cannes earlier this year. Directed by Hirokazu Kore-eda  120 min. 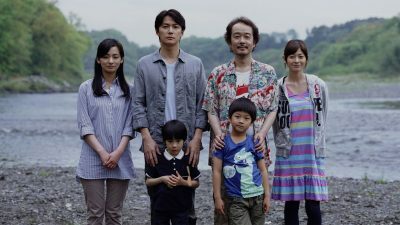 Successful architect Ryota learns that his biological son was switched at birth with the boy he has raised as his own. As two very different families are mashed together, the two couples are faced with an excruciating dilemma and must make a life impacting decision between the two sons. This thought provoking drama is a story of personal redemption that unveils the essence of what family truly means in contemporary Japan. Directed by Hirokazu Kore-eda  128 min. Three sisters Sachi, Yoshino and Chika live together in Kamakura city. When their father, absent from the family home for the last 15 years dies, they travel to the countryside for his funeral and meet their shy teenage half-sister. Bonding quickly with the orphaned Suzu, they invite her to live with them. Suzu eagerly agrees, and a new life of joyful discovery begins for the four siblings. Directed by Hirokazu Kore-eda  118 min. In this acclaimed Japanese film, a group of people who have recently died find themselves in a limbo realm resembling a relatively mundane building. Counselors, including Takashi (Arata) and Shiori (Erika Oda), are on hand to help new arrivals pick one memory from their lives to bring with them into eternity. Once the memories are chosen, the staff makes a short film representing each one, and the films make up a collage of thoughtful cinematic moments.